The Garden Route – the name given to the stretch of forested, coastal area between Mossel Bay and Port Elizabeth – is the brightly-coloured cherry on this southern slice of Africa. All along the Garden Route, spectacular mountain ranges dip and rise alongside a rugged coastline whose cliffs, estuaries, placid lakes and endless pristine sandy-white beaches are lapped by the Indian Ocean. Pressed between these forces of land and water are ancient forests, and secluded exotic seaside towns. The Garden Route is a paradise for nature-lovers and outdoor enthusiasts this malaria-free region is also a long-time favourite for family holidays. The secret behind the Garden Route is that it combines the fun of a classic bucket-and-spade holiday with unforgettable African adventures. You could go on an elephant-back ride, take a forest canopy tour, bungee jump or visit a monkey or bird sanctuary. Dolphins are often seen offshore – as are whales in season – and for even more wildlife thrills, round off your beach holiday with an authentic Big 5 safari in one of the conveniently close – and also malaria-free – reserves in neighbouring Eastern Cape Province. While outdoor sports and activities take centre stage on a Garden Route holiday (don’t forget that several of the country’s best golf courses are found here) fine food is always close at hand. Indulge in fresh-from-the-boat seafood at the ever-popular Knysna Waterfront or at a restaurant overlooking the beach in neighbouring Plettenberg Bay. We depart at about 08h00 from your hotel in Cape Town and head north via the Du Toit’s Kloof Mountain pass on our first League of the journey. Cape Town to Oudtshoorn the Ostrich capital. The R62 known as the longest wine route in the world takes us through the beautiful towns of Robertson, Montagu and Ladysmith. En-route we stop for some wine tasting and lunch. The journey takes us through the Little Karoo where you will observe the scenery changing from lush greens to brown semi-desert areas making this a day of surprises. We arrive at Hotel in Oudtshoorn, where we will overnight. Oudtshoorn is the commercial hub of the Klein Karoo and the ostrich capital of the world. Here ostriches are found in great numbers and the region produces the best feathers, leather products and ostrich meat worldwide. We visit the Cango Wildlife Ranch to learn more about crocodile, cheetah, reptiles and the other animals onsite, with a chance to view cheetah, tiger, lion, puma, and jaguar. After breakfast we visit the world famous Cango Caves where we take a guided tour full of fascinating things to see. From the Caves we travel to an Ostrich farm on the other end of Oudtshoorn. 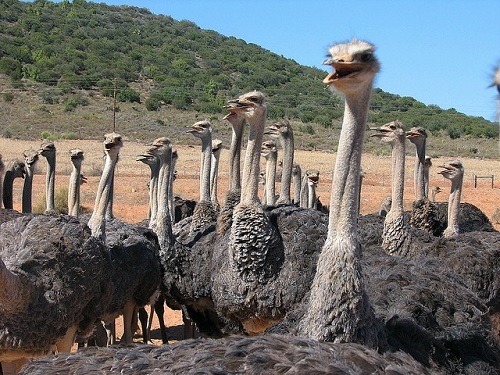 You will receive a tour of a working Ostrich farm and possibly have the opportunity to ride an ostrich. You will also learn more about ostrich breeding habits and of the bygone days when Oudtshoorn was in the midsts of the 1920’s ostrich feather boom. 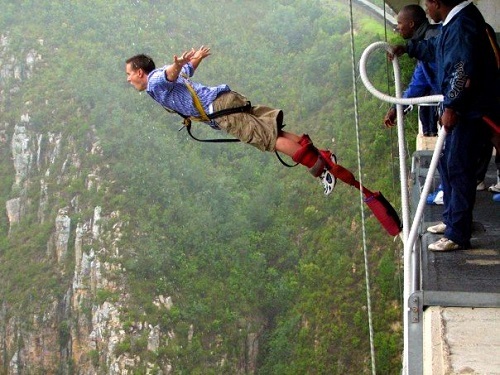 We travel over the Outeniqua Mountains to Knysna. 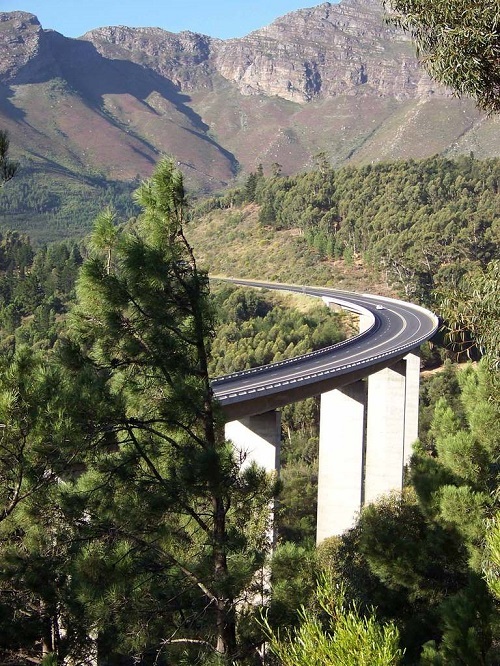 As we pass over mountain passes you will see how the scenery changes and understand why the area is known as the Garden Route. We arrive at the Knysna Quays Hotel in Knysna, where we overnight. For groups of four or more, enquire about alternative departure days (subject to availability).